We were the first boiler install that Safgas ever did and we have had an annual service every year since. They are an efficient team who do an excellent job and tidy up afterwards. Scott & Fran are the most reliable "experts" you could ask for. 1st.class in all departments. Cannot praise highly enough. Quick response to my issues with my boiler, difficult job but quickly fixed by Scott and his apprentice Josh. Fixed the fault explaining what the issue was in nice easy to understand simple English language. Even helped with choosing a suitable new Thermostat system and installed it in no time. Great service as always from a top notch team... Fran & Scott Thank you much appreciated Just need to convert Josh to be a Villa fan and we have the perfect squad..
Out heating had stopped working & we contacted Fran at this company. Fran came out to see us the same day and was able to fix this for us. Very professional, knowledgeable & helpful, it was very much appreciated. Very much value for money, but moreover the customer service and help given was brilliant. Work carried out by safgas was of a very high quality. Scott was very professional and met my expectations. I would definitely recommend safgas to friends and families. Would definitely recommend Scott and his apprentice Josh. Explained in detail what the problem with boiler was and repaired it. Worked efficiently and tidily and good value. Will be using SAFgas in the future. The guys arrived on time and got the work completed on time with minimal disruption. The cost of the work was good and excellent value for money. The knowledge and expertise was really good and everything was explained very clearly. My wife and I are very pleased with the work and the service SAFGas provided. Fran serviced my boiler today very happy with service . I would recommend both Scott and Fran always happy to help when in need . Punctual, friendly and efficient as always. I thoroughly recommend this company. Highly recommended,expert workmanship,considerate & obliging. Scott is always reliavle, friendly, knowledgeable and does a great job. Annual boiler service, and as always SAFgas arrived on time and completed the job professionally and left no mess. Scott from SAFGas came to see us & spent a good 1.5 hours with us going through everything we needed. We got a very competitive quote very quickly & arranged for the job to be done. The job took 5 days, at the start of every day we were told what would be going on & our house was left tidy & vacuumed every night. To say what a big job it was they made it as quick & painless as possible. Highly recommend. The engineer arrived punctually, inspected and cleaned afterwards thoroughly with a friendly manner to answer any of my questions when required. On time, friendly service, no residual mess with final costs as per quote. Safgas provide an excellent service, friendly and helpful communications always keeping us informed of the progress of the job. Fran and Scott thank you for helping us out in a stressful situation. Getting the boiler fixed ahead of a house sale was so important to us. We'd highly recommend Safgas for all your needs. From start to finish our experience with SAFGas was fantastic, they did everything they promised to do and in a really friendly and personal manner. Our particular job was in a difficult location and yet we were made to feel that nothing was too much trouble. Scott and Fran even stayed late on the first day to make sure we had hot water overnight! The job was done to a high standard and everything was left as tidy as they'd found it. I would highly recommend SAFGas to anyone. Engineer explained the job and price , was on time , very professional. Needed a replacement boiler and system flush. Recommended by my son and also a recommended Worcester Bosch installer. Fran and Scott were fantastic. From the initial phone call to arrange a home visit, to assessing the home and providing the quote and throughout the installation. They are a very professional team in their approach. Their knowledge base, commitment, and communication to the customer thoughout the whole process put's you at ease and instills confidence that you know the job is be carried out to the highest of standards. My wife and I are thrilled. I'm absolutely not exaggerating when i say that this company is second to none. Don't bother with the rest. Only contact the best. (SAFGas Ltd). You will not be disappointed. Our old boiler gave up just as we went into the coldest weather for a decade. Scott responded quickly and within a day we had a sparkly new boiler purring away in our warm house. Great! Brilliant service and jobs completely in a timely and clean manner. Friendly and genuine company not looking to rip you off. Makes a change. Highly recommend and would def use again. We called on the company after getting recommended and glad we did. We had a great experience from start to finish of our problems with a thermostat. Would now definitely recommend to others without hesitation & will book a boiler service later in the year, thank you. This was the first time we have used SAFGas and my expectations were far surpassed. Scott was polite, respectful and extremely helpful, explaining every aspect of what he was doing. He made me feel at ease. We shall definitely use this service again and would recommend SAFGas to all. Scott and Fran are friendly, honest and above all professional. I was recommended to call from a work colleague who had a new boiler and central heating system fitted. Thinking you can't get better than a friends recommendation I had no doubt that Scott would be nothing more than amazing. True to my friends word he turned up to quote on time, made some suggestions which I had missed about location etc. Quote was competitive and after Christmas the work was completed to my complete satisfaction. He really is a genuine, meticulous, professional tradesman. Do not call anyone else, just contact SAFGas. Today after 10 days of no heating I had a sense of humour failure when I was told by a Worcester Bosch Boiler engineer (that I had pinned everything on for heating today) that the home emergency contractors (AXA / Damand Plumbing) diagnosis of a major boiler failure (meaning they deem it Beyond Economical Repair and therefore couldn’t support us any further after 7 days) was incorrect. The boiler is in perfect working order and has no parts needing replacement. The Worcester Bosch engineer, understandably,was not in a position to fix it as it was not a boiler fault and the insurance company were not offering any immediate help. I contacted SAFGas Ltd, although they are very busy not only did they acknowledge its been a rough 10 days they considered we have an infant in the house, so not only did they agree to help but they arrived within 2 hours (working beyond their normal hours) and not only diagnosed the issue quickly but resolved it within an hour. We are now feeling cosy once again. If only I had contacted them in the first place. Fantastic service & lovely people. Thank You so much! Boiler broke Friday pm.i called safgas for advice in first instance Friendly helpful advice despite the timing.Given the urgency and timing (weekend) I did have to ask an alternative 24hr service.They stated it would be 4 days before could be repaired.Safgas then stepped in and started work on the Monday.Was a big job but Scott was excellent,hardworking,prompt.Safgas gave regular updates. Informative all the way. Even left contact details in case we could not work the new boiler. Literally cannot fault the service. We have used them for a few yrs and this is our first 'emergency'.So pleased we use this company and will continue to do so. Highly recommend. Husband and wife team - totally professional operation. Excellent customer service - very pleasant telephone manner. Phoned to say he (Scott was running late) due to the complexity of the job he was on - perfectly reasonable excuse. This is the second Landlord's certificate they have done for me and I will have no reservations in using them again. Being able to pay on-line (good price) and receive Gas Certificate like-wise was very handy for me. I asked Scott if he would have a look at what was causing the boiler to run noisily (not part of the job) which he did gladly without charge even providing me with pictures and a diagnosis. I have a maintenance contract with British Gas so it wasn't as though he was trying to drum-up business. SAFgas turned up when they said they would. The job was carried out and completed without any problems. The basic workings of the our combi boiler was explained to us and an easy to understand demonstration of the new wireless thermostat. Many thanks. A very proficient and capable young man who certainly knew what he was doing. Delighted with the work done. arrived on time, always friendly, polite, and clean working leaving no mess. Explains work carried out in a clear and concise way. Excellent value for money. Option to pay monthly helps me to budget. Highly recommend and will continue to use SAFGAS. Scot always does great job. Always friendly well mannered and on time. Scott is a very friendly and yet maintains a high level of professionalism when carrying out our service. I would definitely recommend him to anyone that wants a reliable, professional, experienced Gas man. Impeccable on all fronts. First time of meeting Scott, friendly and efficient, quiet and tidy. Asked questions about my heating system, carried out work as required, plus additional work I requested carried out the next day. All to my entire satisfaction. Ticks all of the five star ratings. I couldn't have found someone better. SAFgas recently carried out a last minute job for us. At short notice they came on a Sunday to cover a job where poor planning by the main contractor meant we where desperate, SAFgas provided a high standard of work to ensure the job was not held up worked well with the other trades present in what can be a stressful and highly charged work environment. Would happily use them again if and when the opportunity arises. We needed a replacement boiler after moving in and finding out the current boiler wasn't safe to use. It was a tricky job which threw some curveballs into the installation but the team didn't bat an eyelid and worked throughout the whole day to get it all finished. The finished job has been done to a high standard and Scott explained how to use the system thoroughly as well as doing half of the necessary paperwork. The team really went above and beyond and were lovely to deal with. We wouldn't hesitate to recommend this company to anyone wanting a top quality service. Thanks! I am used to grumpy people from the large national companies so Scott was a breath of fresh air. He was the most friendly person I have seen and obviously knew his trade inside out and answered all my questions and went the extra mile to get the job done. Oh, and they were the only company to bother to phone me back on initial enquiry. When let down by my usual gas company I urgently needs the Landlord Gas Safety Record carrying out. Despite being very booked up, SAFGas managed to fit me in. Turned up on time, friendly and very tidy. Would definatly use Scott again. Scott worked tidy & always asked is everything ok once each day finished. Explained in detail everything that he could do & did exactly he said he would. Very polite. From start to finish the help with arranging for our boiler to be serviced and an outside tap installed was absolutely brilliant. SAF Gas did an excellent job. Excellent service and good value for money, would definitely use in the future. 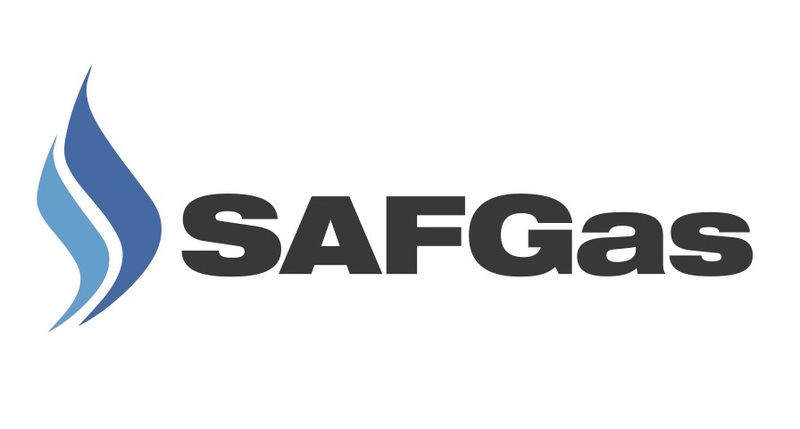 I would highly recommend SAF Gas. They were very professional throughout from the booking of the job to the finish. There was no mess at all and we found Scott to be a very friendly guy. A clean, tidy and professional job. Serviced our coal effect gas fire and did a full boiler service and heating check. First rate work.